DGM works with a few, carefully selected DJs only. They are top professionals with proven track records. Please visit DJ BENNO, DJ JAMES, DJ MASALA, and DJ DESI for more information. Your DJ will happily meet with you to discuss all aspects of the music. He will guide you through the whole process. Your DJ will provide 5 hours of continuous music (or more if required . . . all day and Wedding reception only packages are available to suit all requirements). Equipment will be set up well before your guests arrive. 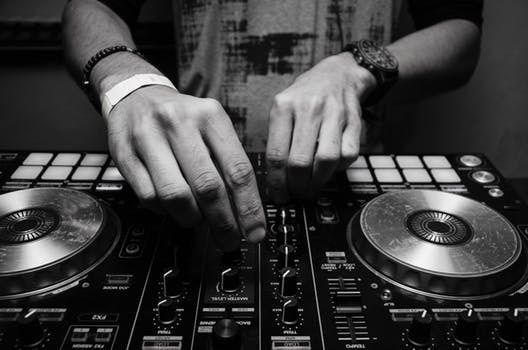 Your DJs equipment is ‘tagged’ which means it is legally compliant for all Wellington venues, and DAVID GREER MUSIC has extensive public liability insurance, so in the highly unlikely event that an insurance claim should ever arise from a performance, you our client, are fully protected against any liability. Oh and yes, HE WILL FILL THE DANCE FLOOR! A sound system is provided that can support an audience of up to 400 people. DGM can provide a larger sound system to support your event if required. Please contact us through our CONTACT PAGE for more information.